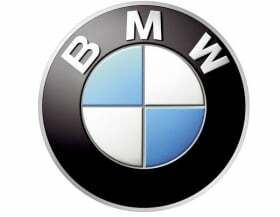 Southfield, MICHIGAN -- BMW failed to keep its lead over Mercedes-Benz in January U.S. sales, getting some payback after December's sales push to seal its place as 2011's top-selling U.S. luxury brand. BMW brand deliveries rose 3.1 percent to 16,405 last month in the United States, the automaker said Wednesday in a statement. Mercedes sales rose 24 percent to 20,306, as deliveries of its C-class model surged 56 percent, the automaker said. Lexus brand deliveries declined 4.6 percent to 12,274 vehicles in January. "BMW, perhaps, was a bit more aggressive in terms of marketing and incentive efforts in December which may have pulled ahead some of their sales from January," Jesse Toprak, a Santa Monica, California-based analyst with TrueCar.com, said in a telephone interview. BMW deliveries, helped by the redesigned X3 SUV, rose 13 percent last year to 247,907, allowing it to claim the title as the top-selling luxury brand in the U.S. after Lexus held the spot for 11 years. Lexus, hurt by production shortages following the March earthquake in Japan, saw deliveries fall 13 percent last year to 198,552, the Japan-based brand has said. Mercedes, helped by the updated C-class sedan and new coupe, finished 2011 in second place behind BMW with 2,715 fewer sales. Mercedes' sales rose 13 percent in the U.S. last year to 245,192. The results exclude Daimler's Sprinter vans and Smart cars and BMW's Mini brand, which aren't luxury vehicles. Sales of BMW's 3 series rose 16 percent to 6,698 cars in January, as the automaker prepares to bring a redesigned version to showrooms next month. U.S. deliveries of Audi rose 20 percent to 9,354 vehicles last month, the company said in a statement. It was the most sales Audi has had in January, the automaker added. General Motors' Cadillac luxury brand sales fell 29 percent last month to 8,924, according to the Detroit-based automaker. Germany's sports car maker Porsche sold 2,550 vehicles in the U.S. in the same period, a 6.3 percent increase, the company said in a statement. Sales of the 911 model, to be replaced by a new version next month, rose 56 percent to 681 cars. Sales of Nissan's Infiniti brand reached 6,796 vehicles in January, 8.2 percent less than a year earlier, the company said in a statement. Honda reported sales for its Acura brand rose 5.3 percent to 8,381 last month. Ford sold 5,121 Lincolns in January, a 7.9 percent decrease from a year earlier, according to a statement from the automaker. Sales of British brand Land Rover rose 41 percent to 3,205 units last month, while Jaguar sales were up 5 percent to 985, the brands, owned by Mumbai-based Tata Motors, said in an e-mail.